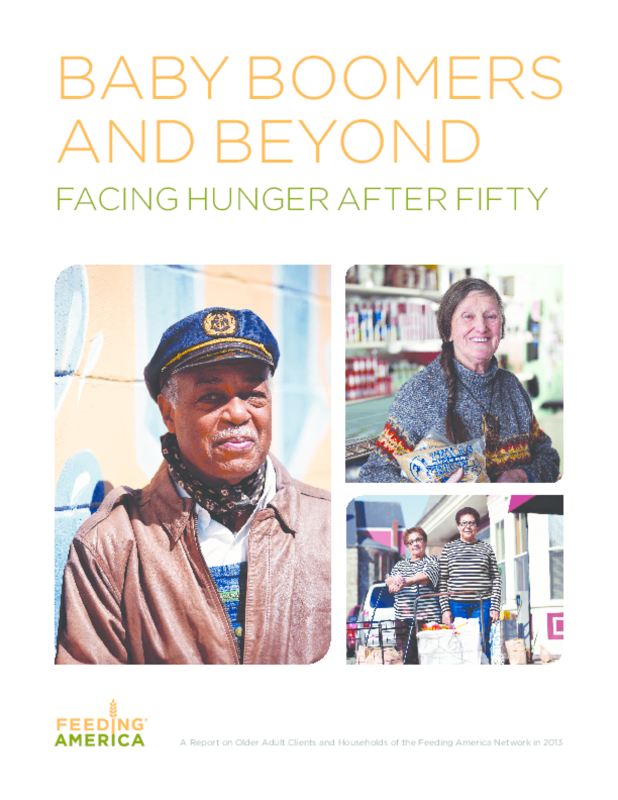 Baby Boomers and Beyond: Facing Hunger after Fifty provides insight into the personal, economic, and health circumstances of adults age 50 and older -- referred to as older adults throughout this report -- who seek charitable food assistance through the Feeding America network. In addition, the report highlights the ways in which older adults and their household members cope with food insecurity and other challenges. Data in this report are the result of analyses of the Hunger in America 2014 dataset and are presented at the individual, respondent and household level. Individual-level results reflect responses about individual clients (defined below) age 50 and older. Respondent-level results reflect responses from clients age 50 and older who completed the Client Survey. Household-level results reflect the circumstances of client households that contain at least one member age 50 and older. In addition to discussion of the 50 and older group as a whole, the report also looks at other age ranges (50-64, 65-74, and 75+) where notable trends exist.